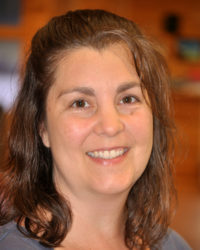 Our resident Queen of Computer Assisted Design, Tonya has worked at Vermont Store Fixture Corporation since 1995. In addition to cabinetmaking, finishing, machinery programming and operation, Tonya was a hands-on-participant during the construction of our unique showroom and offices. More than anyone else, she has a thorough understanding of the nuts and bolts of our business. With a quiet, calm demeanor she keeps our design department clicking away while managing our machine operators and their work flow.